Paul Scofield is my favorite Shakespearean actor. When he died earlier this year, I was fascinated to learn more of the details of his life from the many obituaries, both in the British press and here in America. 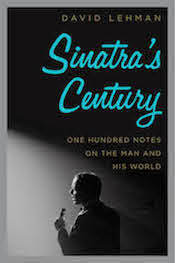 An intensely private man, he declined a knighthood and preferred the stage over Hollywood. Of course he was great on screen. Every role he took on he made indelibly his own: in A Man for All Seasons, Albee's A Delicate Balance, as the King of France in Kenneth Branagh's Henry V, and as Mark Van Doren in Quiz Show. When Scofield's friend Richard Burton returned form California, he told Scofield "You shouldn't be wasting time doing these plays. You could make a fortune in Hollywood." Scofield would have none of it. No living actor is better equipped for Hamlet (Phoenix [Theatre]) than Paul Scofield. On him the right sadness sits, and also the right spleen; his gait is a prowl over quicksands; and he can freeze a word with an irony at once mournful and deadly. He plays Hamlet as a man whose skill in smelling falseness extends to himself, thereby breeding self-disgust. He spots the flaw in every stone, which makes him either an idealistic jeweller or a born critic. He sees though Gertrude, Caludius, Rosencrantz, Guildenstern, Polonius and Ophelia--what remains but to see through him self. Wow. That is some smokin' criticism. 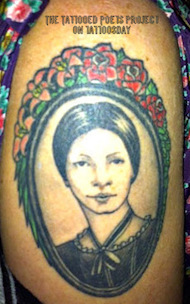 Tynan was an ace--more about him in a moment. (For the Burton and Tynan quotes I am indebted to Peter Brook's obituary in The Observer from March 23.) Now that Scofield has become his admirers (as Auden might say), the good news is that his greatest performance can still be seen and heard. 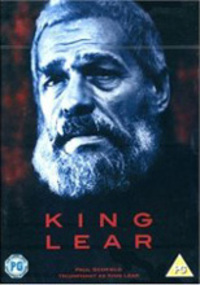 In 1971, Brook made a film of King Lear starring Scofield, which is now available on video. Also: an excellent audio version of the play produced by Kenneth Branagh (who gives voice to the Fool) exists on three CDs from Naxos. This CD will change your life. Scofield's ability to turn verse into music, speech, lament, outrage, organs, drums, terror, etc. 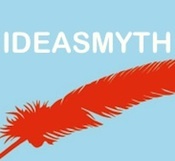 is indescribable. Don't just take my work for it. Several years before his death, two hundred actors and other members of the Royal Shakespeare Company voted Scofield's Lear the greatest Shakespeare performance ever! So here's a funny story: After an evening of scenes from Shakespeare that I put together at the Poetry Center of 92nd Street Y a few years ago, I was having dinner with the actors: Philip Bosco, Rosemary Harris, and Brian Murray. I was completely dizzy with wine and the stories of working with the greats: what Olivier said, what Burton did, etc. Then Brian Murray launches into this story that I will never forget. 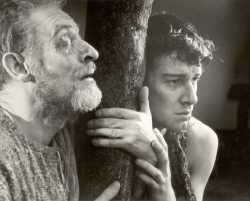 Murray was in the stage version of Brook's Lear, playing Edgar beside Scofield's king. If the movie is any indication, the production was quite gritty looking. Edgar, who spends a fair amount of time in the mud, appears begrimed for much of the play. The week before opening they changed his make up, so that the mud was in fact chocolate sauce smeared across his face. All went swimmingly until opening night, when Murray (pictured on the right) gets the jitters and, as he told it, begins to freeze up. Scofield, sensing this, crosses to him, which he had never done before, kneels down and runs a finger across his face. He then licks the finger and whispers loudly, "Mm. Mars. Delicious!" This absurd stunt puts Murray back on track, and he is able to continue. Now here's the part I've always wondered about. It's a story too good not to be true, so I've never verified it. According to Murray, Tynan was in the audience that night and in his review wrote something to the effect that Scofield clearly marked Lear's descent into madness by picking a piece of mud off of Edgar and eating it. And, of course, despite this bit of praise Scofield never repeated the moment. Paul Scofield enters with grey crew-cut and peering gate; one notes at once the old man's trick of dwelling on unexpected vowels and lurching phrases as if his voice were barely under rational control . . . And suddenly, greatness. Scofield's halting, apologetic delivery of "I fear I am not in my perfect mind," sightless Gloucester, sitting cross-legged on the empty stage while the noise of the battle resounds in the wings; and the closing epiphany, where in Lear achieves a wisdom denied in his sanity--a Stoic determination, long in the moulding, to endure his going hence . . .